Here are some places to stay in the area. 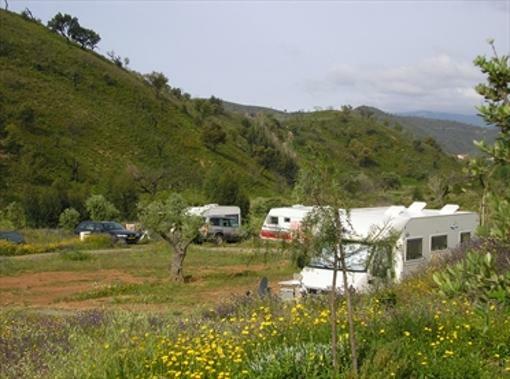 São Marcos da Serra has a motel, a camping and some privately owned holiday accommodations. By the end of the summer of 2019 a newly consructed service park for motorhomes will be a new feature in São Marcos da Serra. It is under construction now, near the cemitary. There will be space for 23 campervans. Here you can rent a privately owned guest house with 2 double bedrooms. You may use the huge pool and garden. There are donkeys, chickens, birds and dogs on the property. 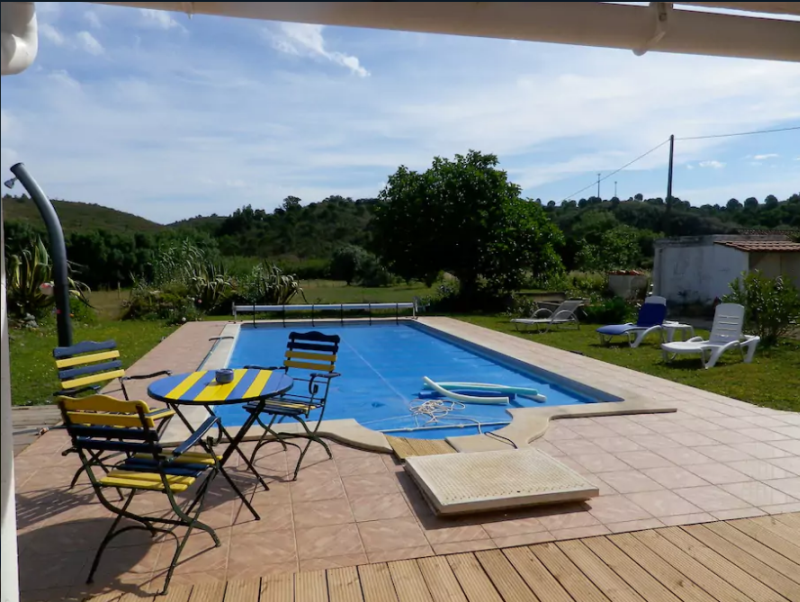 Vivenda Serena is located near the village of São Marcos da Serra, with easy access from the IC1. More information, pictures and availability. Rent a room (or 2 or 3) on the outskirts of the village. With private bathroom, shareduse of kitchen and living room. 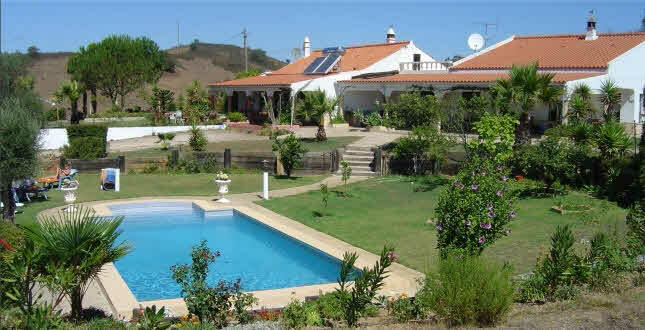 Private pool (heated), terrace, BBQ, use of bicycles. More information and pictures everybodylovesportugal.com - rooms. São Marcos da Serra has a small rural camp site, close to the new Odelouca lake (barragem), about 3 km outside the village: Quinta de Odelouca. You can find more information and prices on their website www.quintaodelouca.com.